OPM Response is a recruitment agency specialising in consultancy between companies and jobseekers in the gaming industry. They operate within over 30 countries and actively working with companies across the globe that are looking for new talent in game development and testing. The gaming industry is a sector accelerating in growth with a high demand of candidates with strong technical skills. This sector is also a challenging one, as the need to find well-qualified gaming developers is not an easy task. Candidates in the gaming industry typically begin their job search online. This is why it was highly importance that OPM had a competitive and strong web platform. OPM Response approached Wave wanting their current agency website redesigned. 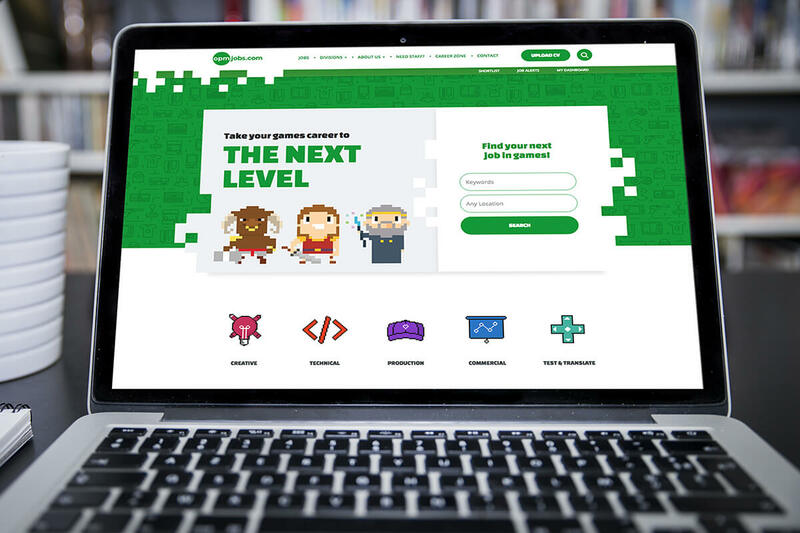 They wanted a career website for gaming recruitment that would stand out from their competitors, be SEO optimised and generate more relevant applications from candidates. 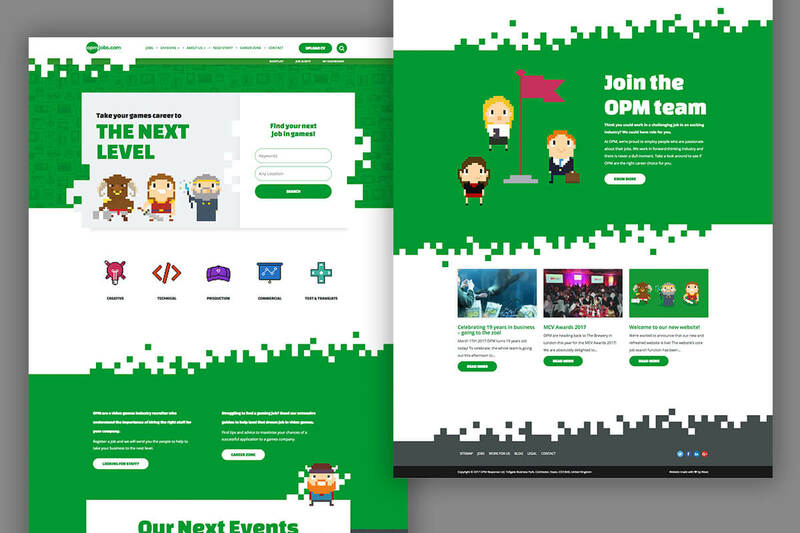 Being a recruitment agency specialising in the gaming industry, OPM needed a website which would reflect their niche and unique approach in a niche and unique industry. Wave designed a refreshing, pixelated retro inspired looking website. The pixel art and sprite illustrations took centre stage on the website, giving it a unique look that would attract a gaming demographic of all ages. We wanted the website to have easy and simple navigation to provide the user with a good user journey to increase online conversions. The web design was a perfect match for gaming recruitment and relevant to the type of jobs OPM offer. The website has also got a clearly defined user journey with a simple and easy application process. This results in a good number of applications and CV being submitted from candidates. A few months after the new career website was live, it generated over 37% more visits in comparison to the previous site. 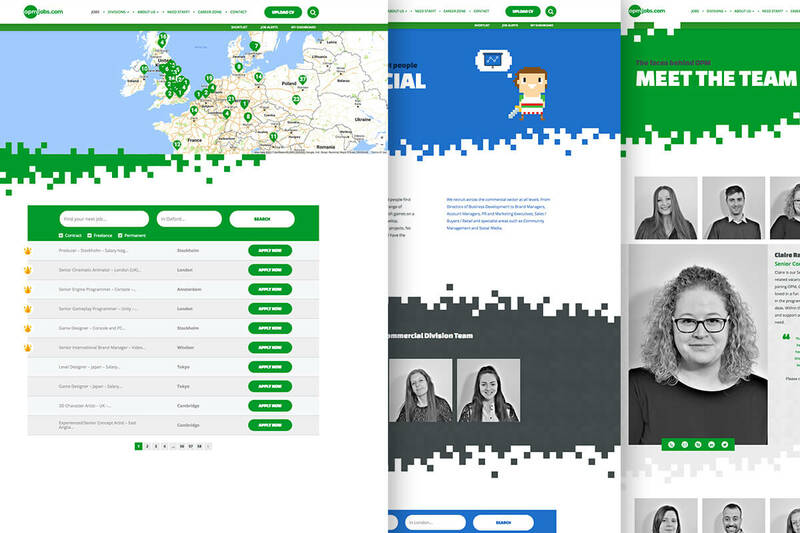 When we launched the career website, we wanted to make sure that it applies the best SEO practice and was optimised for devices of different screen sizes. 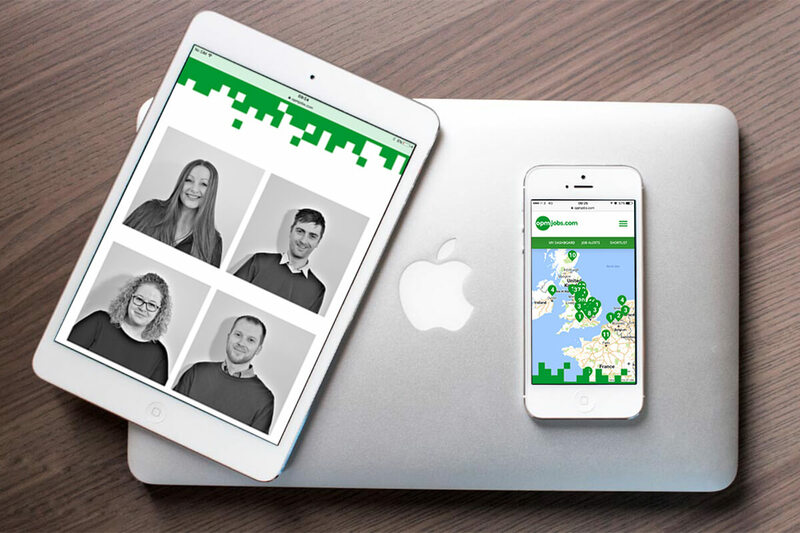 It helped to drive 24% of high quality organic traffic and it attracted new engaging users to the site who were keen to convert by uploading CV or sending a contact form.